Location: the Nakuru National Park is an alkaline lake in the Great Rift Valley, south of the Equator. The main attraction points are the thousands of flamingos, pelicans and other bird species and also the big game e.g. the Black and White Rhino. Driving time from Nairobi is about 3 hours. 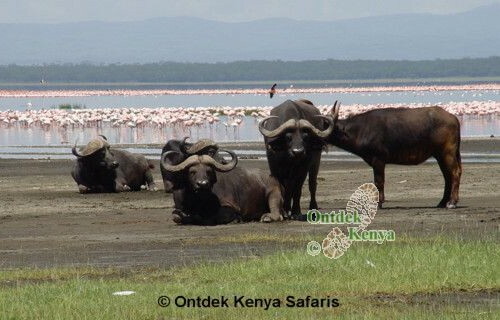 The Lake Nakuru National Park is often used as a stopover between Masai Mara and Samburu or the Aberdares. The park is at an elevation of about 1800 meters above sea level. Landscape: The alkaline lake covers a substantial part of the park. Around it there are lots of acacia forests (with mainly Yellow Fever Trees). On the east side of the lake there's a forest of Euphorbia Candelabrum (= Candle Bush Euphorbia), a succulent species of plants indigenous to the horn of Africa. In the south there's the little visited Makalia Falls. The level of the lake has in the last years gone up significantly resulting in massive loss of acacia trees which are now constantly submerged. Mammals: of the big five (= elephants, lions, buffaloes, rhinos and leopards) only elephants are not occurring. The park is also known for the rare Rotschild's giraffes, Burchell zebras, hippos and gazelles. White rhinos are often seen in the grasslands surrounding the lake while the smaller black rhinos are found in the forest as they are browsers. 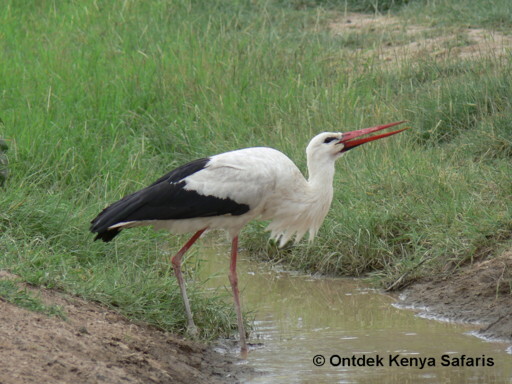 Bird species: Over 450 bird species have been recorded in the park. Visitors: this is one of the more visited parks in Kenya. It is often used as a stopover place for tourists combining Masai Mara with the Aberdares or Samburu / Buffalo Springs / Shaba. During the high season, being the European holidays, there's often a lot of human traffic. Accommodation: in the park you can overnight in the Sarova Lion Hill Lodge or the Lake Nakuru Lodge. 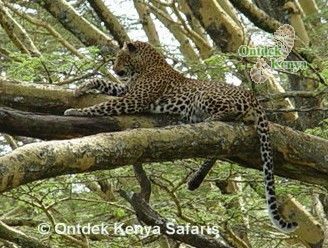 Along Lake Elementaita, which is close to Lake Nakuru, there's a wide range of lodges, tented camps and even camp sites.